Some recreational therapists are interested in starting a private practice in Recreational Therapy. I think that is great! I’m meeting people all the time who are starting their own business. Some are focused on a certain population, in example: services for people with Autism or Developmental Disabilities or senior citizens. Some services are focused on interventions, like: outdoor adventure therapy, aquatics therapy, expressive arts, etc. Some are focused on consulting services. Some are focused on providing contractual recreational therapists for agencies that hire contracted RTs (as needed). Some rec therapists have a passion for one recreation activity and they provide general recreation services for the public., like swimming lessons or piano lessons. There are many business opportunities ideas. I can’t tell you what type of business to start or what to name your business. I can share my personal experiences to give you tips on how to name your business. My suggestion: Don’t name your business after yourself. Why did I name it after myself? First, my business is based out of my home, so it is easier for mail to be sent to me, Danny Pettry. It would be cheaper to get a P.O. Box with just your name. It cost a little bit more to get a P.O. Box for a business. A business box is a bit larger to hold more packages. Second, I had read in a book (I think by Tom Peters) way back in the early 2000s to go ahead and buy yourname.com. It may have been another author, but I think it was Peters. So, I got DannyPettry.com (which I’m very glad I did). I DO recommend for you to buy your own name.com before someone else buys it. Anyone can buy a url. It will be cheaper to buy it today (pending it is available). I suggest using yourname.com as a basic public resume with links to your business and professional pages (like LinkedIn). Third, I thought it would help make me more memorable, which it might have. And yeah, Danny Pettry (who is that again?) laugh aloud. My business is all about self-study continuing education for recreational therapists. A recreational therapist who heard my name once, probably won’t recall it again. How many times have you met a person and forgot their name. Who was that guy I met at a conference? Denny? Donny? David? Perry? The second problem with Your Name, Inc.
One day, you might want to sell your company. It would be difficult for Tony Robbins to sell the Tony Robbins brand. It isn’t a brand withoutTony. It would be difficult for Oprah to sell the Oprah brand. It isn’t the brand without Oprah. It would be very difficult (probably impossible) for me to sell, Danny Pettry, LLC. My neighbor (growing up in Beckley, West Virginia), Jay Roles owned, Jay Roles Flora, Inc. Simple and generic names work the best. Trademark lawyers will argue against this because you can’t register a generic name for your business. In example, an Orange Juice company would never get a registered trademark for Orange Juice. A name can be easily associated with a brand. Who owns the word Pizza? Hint: Their commercial repeats the word, “Pizza, Pizza.” It’s Little Caesars. I believe they should have named their business, “Pizza, Pizza.” That commercial is very old now. My father will ask, “do you want get a pizza, pizza? and I know what he is referring to, Little Caesars. I made those business names up (listed above). Any relation to real businesses with similar names was coincidental. You might be able to abbreviate your generic name so you could get a trademark. In example: National Biscuit Company shorted their name to NaBisCo so they wouldn’t be confused with the other National Biscuit Company that had been started on the other coast (way before connected media like the internet). Register the url if you think of something creative. Do that before you tell anyone. It is fairly cheap to buy a url. A logo can help a generic trademark get registered. Your logo can help set your business apart too. Generic. They’re descriptive. And yet – they’re easy to remember. Do you think facebook would be successful if it was named “Zuckerberg?” I doubt it. Google might have been been successful if Larry Page named it Page.com because that is kind of generic *web-pages). That would be a great double play with his name and business. Again, my legal business name is Danny Pettry, Limited Liability Company. (10+ years in business). My focuses are on education and training for recreational therapists. That is what I do. My main service is Self-Study Recreational Therapy Continuing Education. Abbreviated that as “Rec Therapy CEUs” and I added a rhyme to make it more memorable: helpful and convenient to use(TM). My brand names are easier to remember: Rec Therapy CEUs. It is descriptive, but you know what it means. My blog is very generic too. People understand what RecTherapyToday.com is all about Recreational Therapy updates. It’s a lot like Psychology Today or Counseling Today or Mechanics Today or USA Today. My StaRTbuttonTRaining program is all about — Starting a Recreational Therapy Focused Businesses. 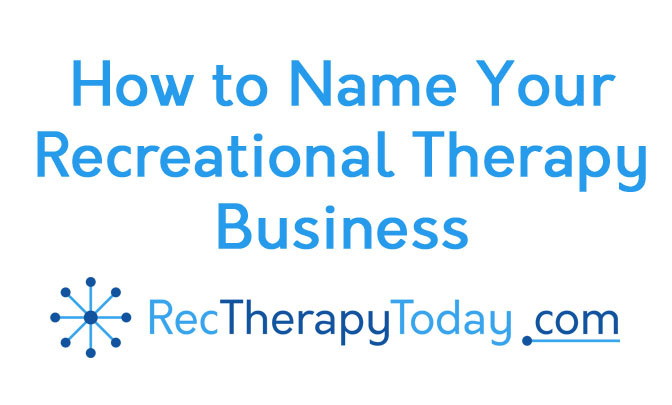 I provide different training sessions that that site to teach rec therapists a few tips on starting different types of businesses. The unique, distinctive logo can help your generic name get a federal registered trademark. Peanut butter cups are generic, which isn’t registered as a trademark, But Reece’s has a neat logo and font associated with their Peanutbutter Cups that makes it distinguished and registered. Target has one of the easiest to remember logos. It’s target. Kentucky Fried Chicken is generic. Their founder, Colonel Sanders and their “bucket of chicken” are their two famously distinguished symbols. Coca-Cola might be the world’s most well known name brand. It’s a generic name taken from original ingredients, including: Coca-Leaves (Cocaine) and Kola-nuts (Caffeine). 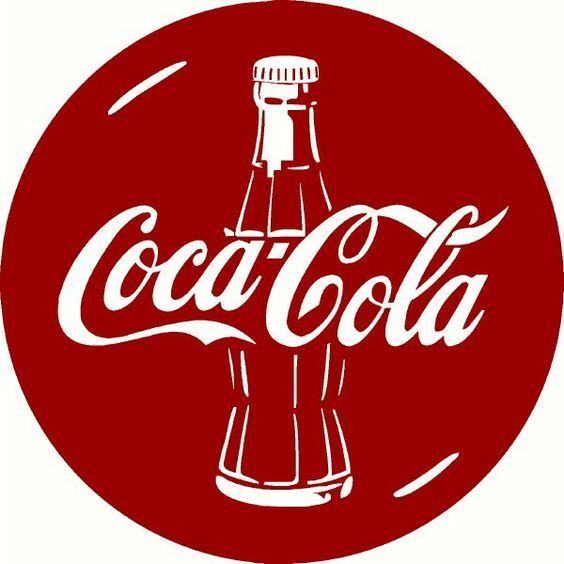 The original glass bottle is an iconic logo that is associated with Coke, so is the red color and font. I suggest making the font of your business name distinguished (but easy to read). Only use one color (like Coke’s red or Target’s red, or Reecee’s orange). and definitely have a symbol like: peanut butter cup, coke’s glass bottle. Again – I can’t tell you what to name or your business. Make it rhyme if you can. Have a distinctive logo, color, and font. Do you want more FREE Recreational Therapy information? Sign-up for Danny Pettry’s FREE Rec Therapy Today newsletter!